Summer in Chicago is fleeting, so don’t miss these fun events as festival season winds down in the city. Is summer nearing its close already? Maybe, but that doesn’t mean Chicago isn’t still fired up with fun August festivals that you won’t want to miss. 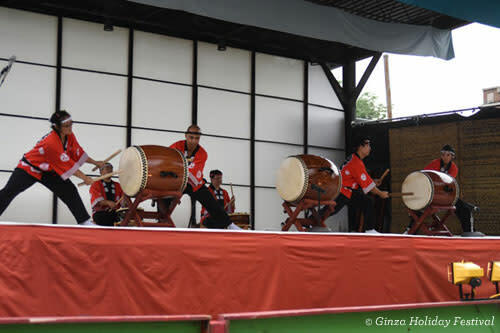 There’s still great music to hear, local artists to check out and ethnic fests to enjoy. Read on for the best 2017 Chicago August festivals. SCENE: A well-curated collection of emerging and established acts keeps the Lollapalooza vibe intense and interesting, with performances this year by Chicago’s own Chance the Rapper, Muse and Lorde. In recent years, the fest has welcomed a second generation of music lovers with a top-notch enclosed KidzaPalooza area. SCENE: As a key destination for the Great Migration that began over 100 years ago, Chicago has long been steeped in jazz tradition. The free Chicago Jazz Festival, held annually over Labor Day Weekend, is one of the country’s biggest and most respected celebrations of the genre. 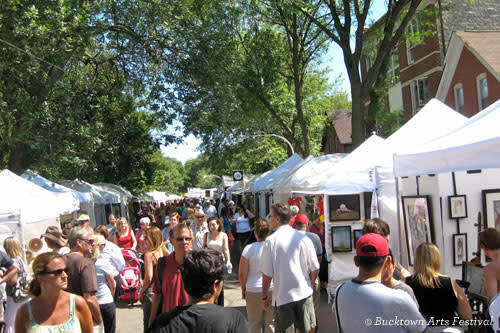 SCENE: The charm of historic Rogers Park is the ideal setting for this inclusive celebration of the arts. More than 100 visual artists set up booths or open their studios, while three stages showcase the talents of local musicians and theater groups, with culinary and mixology artisans keeping the energy up. SCENE: This annual summer jam blends nearly 200 juried painters, photographers, textile artisans, jewelers and more with two stages featuring dancers, poets and other performers. Food trucks, craft beer and sangria—along with art activities for kids—contribute to the fest’s overall sunny atmosphere. 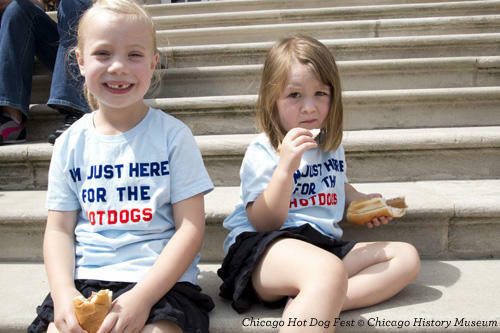 SCENE: If we may be so frank, the humble hot dog is a critical part of Chicago’s culinary canon—so it makes sense that this sizzling summer staple has earned its own fest. Live bands, a kids’ area and all the dawg denizens that matter will be on hand to debate the best wieners, toppings and buns in the city. SCENE: During the Midwest Buddhist Temple’s three-day celebration of Japanese culture, you’ll have the opportunity to sample fantastic fare (sushi, udon, kentia), dabble in the ancient arts (bonsai, ikebana, origami), practice non-attachment (Buddhist temple tours) or become very attached (shopping for artisan-made goods). 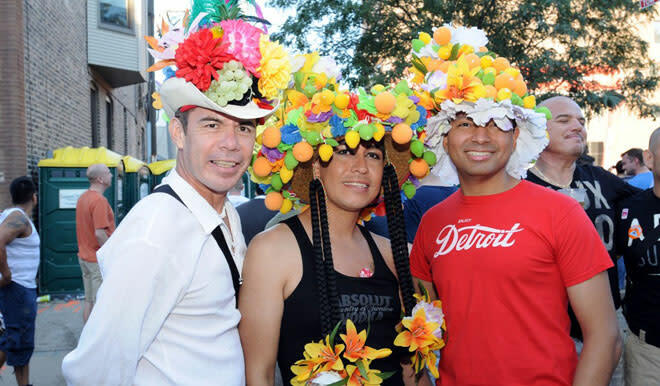 SCENE: Boystown, one of the largest LGBTQ neighborhoods in the U.S., hosts this six-block street fair featuring a wide array of arts and crafts vendors, plus national talent. SCENE: La Dolce Vita—the sweet life—descends upon Little Italy in August, when generations-old family restaurants and neighborhood newcomers unite to throw the most delicious party in the city. Learn Italian card games, dance the tarantella and (if you dare) enter a meatball- or cannoli-eating contest. SCENE: Hellenic pride takes center stage at Taste of Greektown. Immerse yourself in Greek culture and cuisine with this weekend-long celebration featuring traditional food, drink, dancing and FUN. See a full-year roundup of Chicago festivals and events.